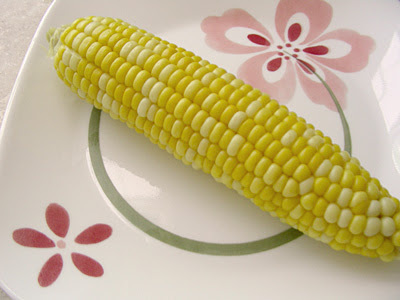 One of my favorite treats is fresh sweet corn steamed right on the cob. That really says summer to me! Coming soon: I found a recipe that beats the sour cream pound cake I posted earlier. So hold on tight and get your mixers ready!